2 jobs on China Jobs Daily. 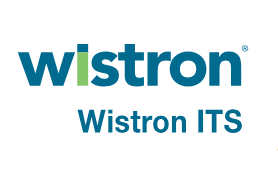 Wistron Information Technology & Services Corporation is a CMMI Level 3, ISO 27001 certified, multifaceted, and professional IT service company that is part of Wistron Group. Wistron ITS provides IT consulting and outsourcing services to Fortune 500 companies worldwide including IBM Corp, Apple Inc. and Schneider Electric. Founded in June 1992, we are now one of the leading IT service providers with thirteen offices in Taipei, Taichung, Tokyo, Osaka, Beijing, Wuhan, Dalian, Shanghai, Zhuhai, Guangzhou, and Shenzhen, Hong Kong, and Irvine. We have implemented practices of CMMI Level 3 model at our software development projects and the company’s offsite and onsite operation centers. Wistron ITS has extensive experience in collaborating with our world-renowned customers in complex software development and software outsourcing services. Our Offshore Development Center (ODC) service model integrates cross-zone resources to enable global delivery to the customers for maximum project speed and quality. The Wistron name is also trusted for its adherence to strong values and business ethics, and is a highly regarded global enterprise. EN - KOR/JPN translators with an IT consulting and outsourcing services provider. Applicants must be native Japanese or Koreans. The position is based in Beijing. Localized Translators with IT consulting and outsourcing services company. Fluent English is required. Position based in Beijing.